The Thatrmadaw (Army of the “Myanmar” Government) continues the attacks begun in January on villages in Western Karen State. Seven battalions of troops are involved (c.130 men each, so nearly 1,000 soldiers). They force villagers from areas they control into service as porters and labourers, so the total effective manpower is higher. They have driven abvout twice their own number of villagers into hiding, burned their homes, and stollen their property. Children in hidie sites still go to school, and pregnant women still give birth. 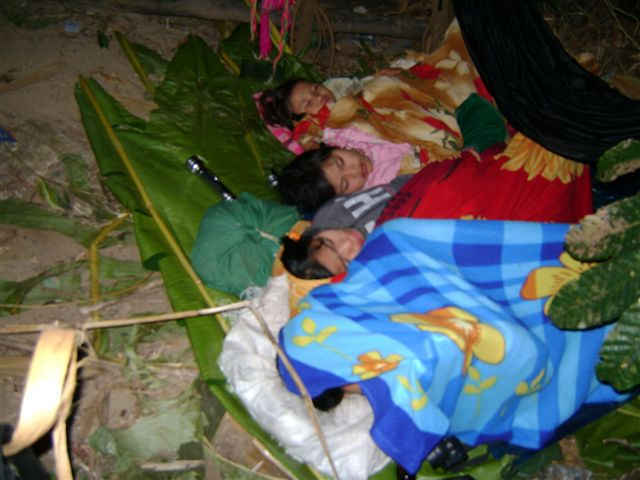 See the report from FBR dated 16th Feb 2010: Pictures and a Report from Karen State; A Mother Giving Birth in Hiding, Burned Homes. Several Thai-based blogs and websites have carried this letter to the Thai people. The letter expresses clearly these villagers desire to return home, but their realistic fears of both landmines and portering (which they clearly say is worse than forced labour – portering often results in death for the victim). We definitely agreed. We only asked to take refuge in Thailand temporarily. We do not wish to continue living in Thailand when the threats are gone. Our intention is to go back home as soon as possible. However, we and you may understand or see ‘the proper situation that is safe for return’ differently. In addition, we may understand the term ‘voluntary return’ differently from the Thai military that insisted some of us have returned to our homeland voluntarily. 1. 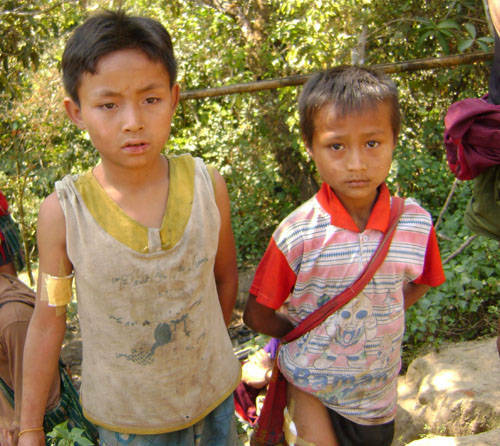 Although the refugees in Nong Bua and Usu Tha came to Thailand at the same time during lMay- June 2009, they are from different villages, with different past and current conditions and situations. Ler Por Hur is in KNU controlled area while others are in DKBA’s or in between. A decision from a person in a village regarding the possibility and readiness to return home cannot be interpreted to be decisions of all. 2. It is not the first time for numbers of people in this group to take refuge in Thailand. Every time we came, we went back quickly as soon as possible. The example is in December 2001 when Ler Por Hur was burnt down. We returned to build our new village within one month, when the Burmese and DKBA’s army went back. Yet this time the situation is different. Therefore we cannot go back home easily and quickly as in the past. 3. As refugees, we do not wish Thailand to bear the burden alone. We seek for international protection and responsibilities. Currently, assistances are from foreign humanitarian groups, and the UNHCR is ready to perform protection role if the Thai government allow it to do. 3. The land mine threat in LPH also affected food security and daily lives. It will be a risk to farm, look for food in the forests, and even look for woods to replace our house and children’s bordering house poles, which were pulled out by DKBA in order to sell in Thailand. The Thai military’s comment that local people still travel between Thai and Burma side is true, as the Thai-Karen occasionally went to their tobacco garden and find food. However, they went only to some spot being known to be safe for a short time; and this is different from going to live there. 5. The most serious concern of refugees from these villages is the food scarcity. The refugees did not have a chance to work on their field for the past 7 months of refuge, while their stocks were taken or destroyed, therefore, there will be no food. To receive assistance from Thai side, they must stay in LPH, which is not safe as being mentioned. Moreover, part of the food will probably be taken by DKBA. 6. There is no certain and firm agreement between the KNLA and DKBA to ensure that we can be back safely with dignity. Before this, we lived with the agreement of the local agreement that both side will not harm each other. However, KNLA now might not be able to balance the agreement. Most importantly, we understand that to clear KNLA land mines in LPH without the presence of KNLA would not be possible as no one know where they are. 4. We did not given information that we had choices at all. We were told only that we would not be able to continue to stay. The UNHCR that once came to interview whether we wanted to move to Mae La camp or go home was stop by the Thai soldiers with an explanation that the existing refugee camp was not a choice for us. 5. The villagers felt pressured from being asked everyday when they would go back, by being informed that they had to go back no matter what and that there would be no further food assistance, and on Saturday Feb 13th, by being acknowledged that they would be taken to a far away refugee camp in Umpang district and that they should not repair their roof and toilet because they would have to leave soon. Due to these facts, a number of people agreed to go back home, thinking that it could be better than staying unaccepted. Many went back with a plan to come back to Thailand, and many who have left actually went to stay with relatives in other villages in Thailand. 4. For the refugees who cannot go back home within a short time ;possibly some people from LPH, they should be allowed to live in Mae La refugee camp under administration of MOI. We are hoping DKBA and KNLA will reach an agreement that benefits the people soon, especially about land mine clearance. We also hope that the Thai people will understand that as long as there are persecutions and civil war in Burma, our return, although voluntarily, might not be fully sustained as the violence might spread back to this area any time. **** This letter was typed and edited by Tiwa Phromsupa to the Cross Border News Agency. The contents are from her refugee friends who want to communicate to Thai society. On Friday morning Thai authorities started the deportations, sending three families back to Burma, but then halted them. The reason for halting the deportations was undoubtedly the international attention being paid to what they were doing. Thousands of people answered our request and sent emails to the Thai Prime Minister and the local governor. Media, including The Independent, reported on what was going on, and European governments also called on Thailand to halt the deportations. 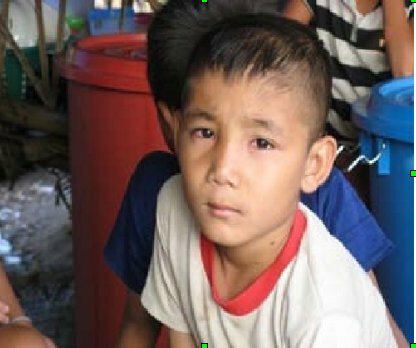 Now we have heard further good news, the three families who were forced back to Burma were able to return to the temporary refugee camp in Thailand yesterday. However, the danger is not completely over yet. Local soldiers have still been pressuring the refugees to agree to return, and no permanent solution has yet been agreed that means the refugees are safe and secure. Senior level meetings involving Karen organisations and government officials are being held in Thailand to try to find a solution. I have discovered a more detailed document about the pressure to return to a dangerous area of Burma on the new refugees. As a result I have written (with the subject line above to the Governor of Tak Province (who is apparently a key player in this decision). I am writing because I have read in the newspaper that in the beautiful hills north of Mae Sot (Maesod) in your province a number of refugees, including women and children, are being pressured to return across the Moi River to Myanmar (Burma). The area they would return to is heavily mined. The military (both Government and DKBA) have recently increased pressure on Karen villagers in that area, in January causing yet more to become internally displaced. To pressure these refugees to return is to place them in danger, as well as to leave them wandering homeless, or living in temporary hide sites. This inhumane action does not seem compatible with the humanity and warmth for which Thailand, and to your province are well-known. Please encourage those under your command, and/or your government to keep the promises Thailand made and allow these refugees to stay until it is really safe for them to return, and end the pressure. Thailand has had an excellent reputation for welcoming those fleeing oppressiion and violence in countries around its borders, please show this same kindness to these latest victims.